DAVID LE/Staff photo. 5/20/15. 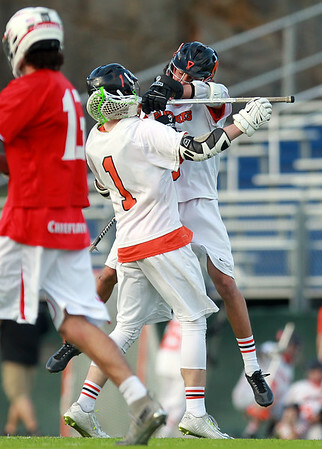 Beverly senior Ian Butler (1) gets a leaping hug from sophomore teammate Sam Abate after Butler scored a goal against Masconomet in the second half of play.